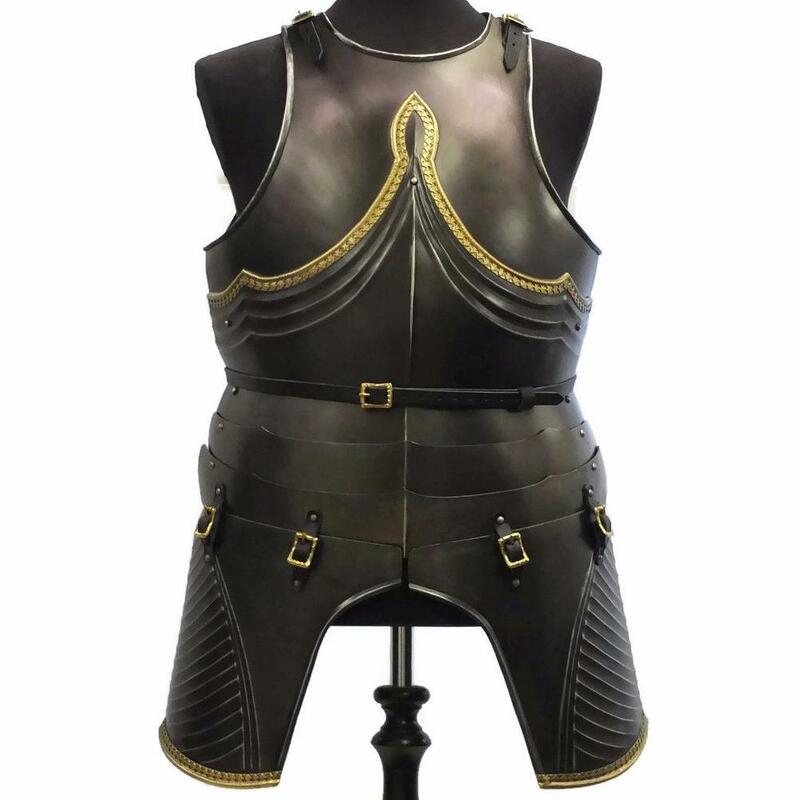 Gothic style cuirass with Fleur de Lys edging detail. Comes with decorative backplate and two separate lower lames. 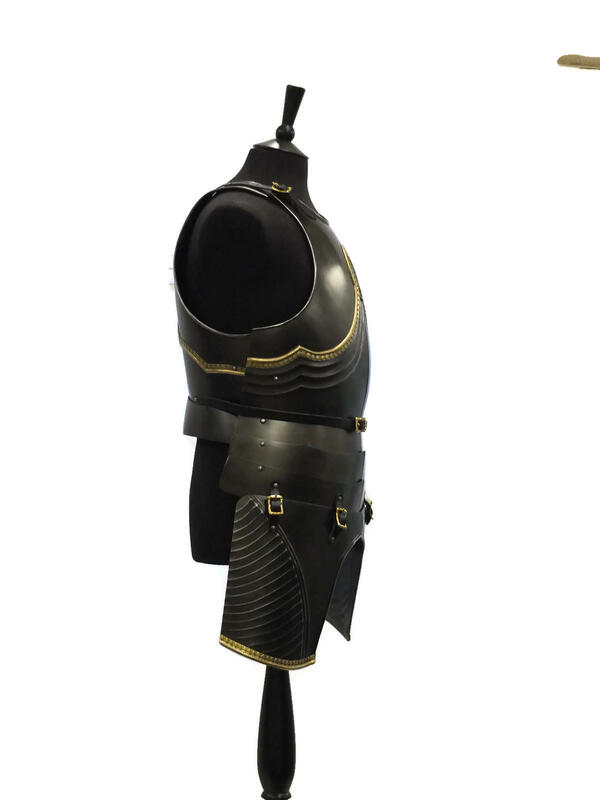 Optional Tassets also available - please note, tassets need to be ordered at the same time as cuirass as extra fittings are required. 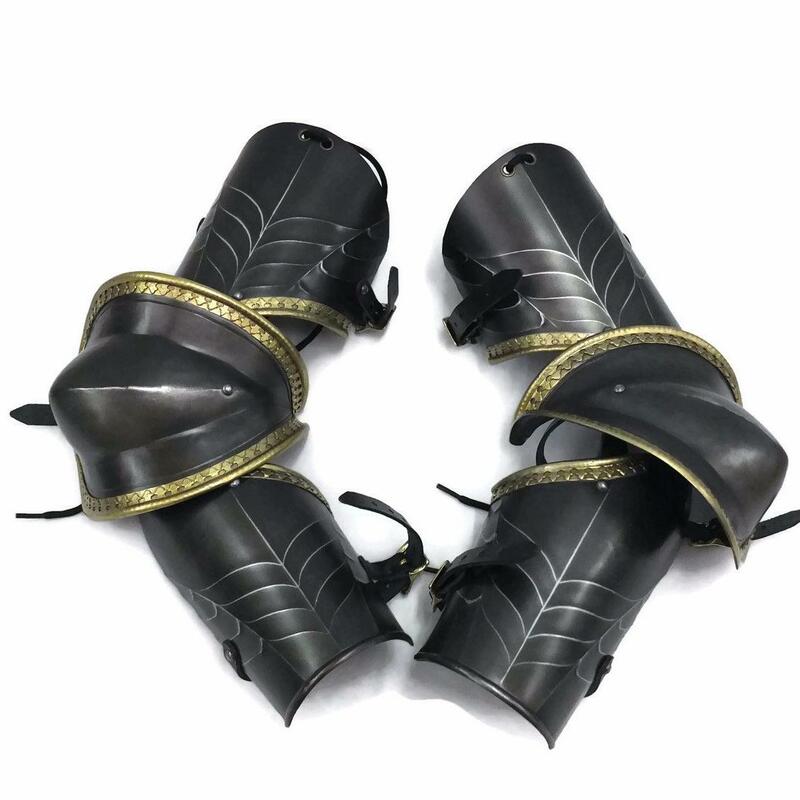 Matching Vambraces also available. 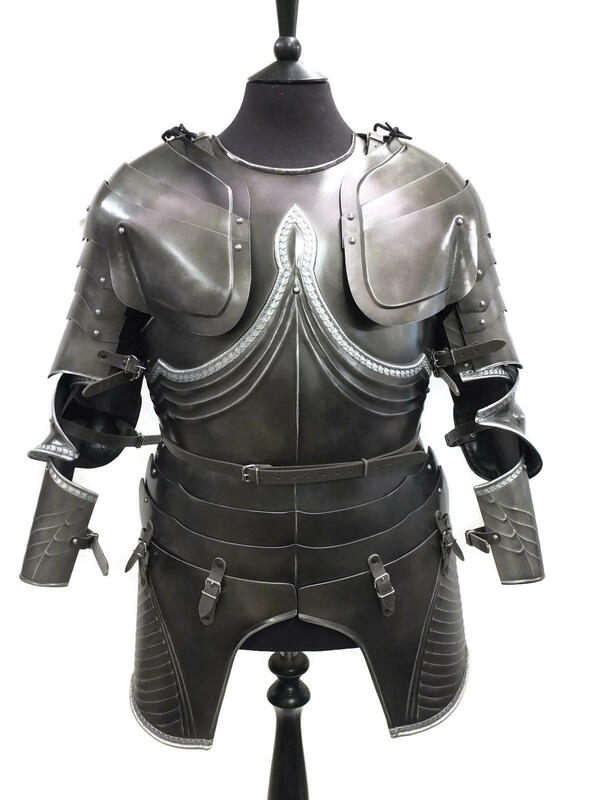 Complete with leather shoulder straps and side fixings (non-leather option available). 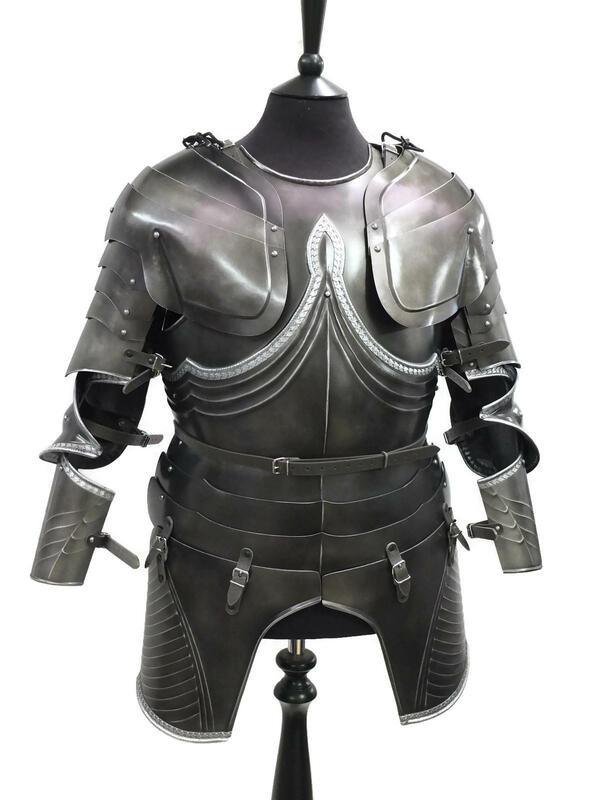 Sizes given are for the armour to meet at the sides, but the staps allow it to go bigger or smaller. Chest - 47" , Waist 45", Length 20".